We have been providing possum removal solutions in Sydney for many years. You can trust our local possum specialsts in Sydney for superior service. At ABC Pest Control - Sydney Possum Removal we can control all your pests for both Residential and Commercial properties. Possumrid - Sydney Possum Removal offers a full range of services for removing and treating Possums in residential homes to providing in depth riddance and prevention programs in Commercial premises such as offices, restaurants and hotels throughout the Sydney Metropolitan Area. Our effective possum removal methods and friendly service have enabled ABC Pest Control - Sydney Possum Removal to build a reputation as one of the best possum removal companies in the industry. ABC Pest Control - Sydney Possum Removal can provide you with the best possum removal products and services to suit all your needs. ABC Pest Control - Sydney Possum Removal are open 7 days a week. With over 20 years experience, and we guarantee you will be satisfied with the results – No More Pests! By using ABC Pest Control - Sydney Possum Removal you can rest assured knowing that all of our pest removal and treatment methods are Environmentally Friendly and most of all effective. Are Possums Running Around Your Roof? 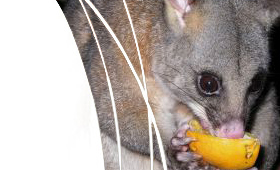 In Australia, the Brushtail and Ringtail Possums are well suited to living in the suburbs, but we can all agree that they are noisy, smelly, garden destroying pests. By using ABC Pest Control - Sydney Possum Removal, you can rest assured that all of our possum control and treatment methods are Environmentally Friendly and most of all effective. Correct identification of the possums' sleeping areas at your premises is an important part of implementing an effective eradication and control program for the removal of pesky possums. Our pest control technicians are highly skilled and use only the safest and most effective techniques for possum eradication. With over ten years of experience ABC Pest Control - Sydney Possum Removal guarantee you will be satisfied with the results - No More Possums! 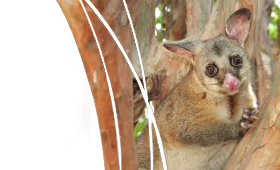 For more info about ABC Pest Control - Sydney Possum Removal, call us today! Need a Possum Removed in Sydney? Call Us Today!